Spring is in the air and beekeepers everywhere are beginning preparations for the start of the active season. Bees have been dormant throughout winter and beekeepers have been able to sit back and relax a bit. Beekeeping is an important and engaging hobby, and with a little time and research, you can do it too! It is well known that bees provide us with the delectable sweet treat we call honey. As they go about their lives, hopping from flower to flower, the bees pollinate the flowers. Without their help, the plants would not grow, and many of the fruits we enjoy would no longer be produced. 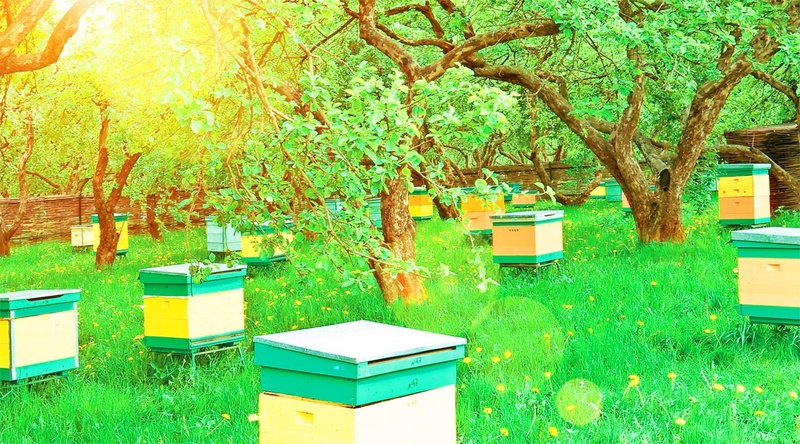 Recently, we have become more and more aware of threats that face the bees. 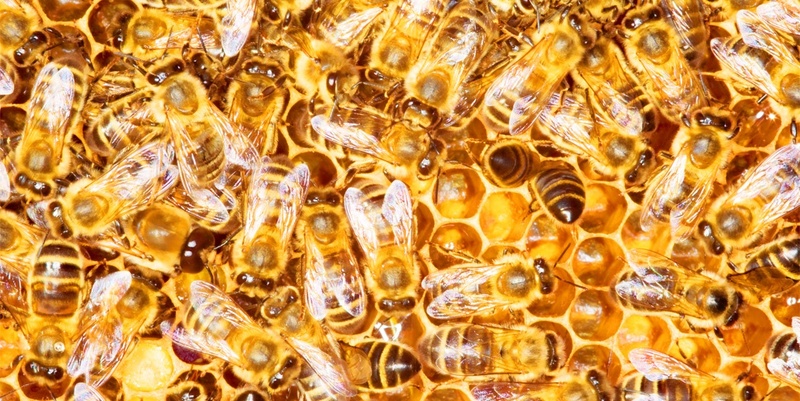 In 1992, a dangerous new pest, the Varroa mite, infested honeybees in the UK. This parasitic mite has crossed the species barrier from its natural host, the Asian honeybee. Unfortunately, our honeybee has no natural defences and so, for the foreseeable future, its survival depends entirely on beekeepers taking the time, trouble and expense to ensure their bees are protected against the mite. Beekeeping is essential to the aid in the survival of honeybees, and, by extension, the survival of beautiful flowers, and delicious fruits. Inside the hive, there are three different types of bees. There is the Drone, the male bee, the Queen, the bee who lays the eggs, and the Workers, female bees who make up most of the colony. The drones have only one function, and that is to mate with a new young queen. Because drones are designed primarily for this purpose, any physical structures related to other work are reduced while their mating-related structures are enhanced. They cannot sting and they make little other contribution to the hive. The queen spends her time laying eggs, but this is not the only important function she serves. She carries all the heritable material of the colon so is responsible for all its physical and behavioural characteristics. The queen produces pheromones, or chemical signals, that control the behaviour of the other bees and ensure the colony cohesion. The worker bees are female bees that cannot mate. They do all the work of the colony, feeding the brood, making honeycomb, cooling the hive, and foraging for pollen and nectar. The jobs these workers do depends loosely on their age. What's Going on in the Hive? During the warmer parts of the year, bees spend their time foraging for pollen and nectar, building their hive, and creating new workers. They have a complex social structure. When incoming bees have found a good source of pollen, they tell the colony by dancing. The waggle dance, as it is called, is done by the bee running in a figure eight with the centre of the wagtail line angled to indicate the direction of the food source relative to the sun. The rate and duration of the dance and the number of figures of eight completed all relate to the distance of the food source while the vigour of the dance indicates the richness of the food. When a hive gets too crowded, the bees form a swarm. The original queen lays new queen eggs, and moves out of the hive, taking half the population of workers with her. They search for a new place to live while, in the old hive, the new queen emerges, mates, and takes over. It is important to note the signs of a swarm before it happens, to prevent it. It is natural for bees to swarm, but if your bees do, then you will have to re-hive them. Instead, notice the signs of a swarm and take steps to control the swarm. This means that you will have to split the colony before the bees do. Bees are wonderful helpers, and beekeeping is an important hobby. Make sure you read up on the ins and outs of beekeeping, as well as taking advice from beekeepers in your area. Check out our new book Bee Keeping for more information! This blog post is based on content from our new book Bee Keeping by Pam Gregory and Claire Waring [ISBN: 978-1-78361-388-5]. This title is full of expert advice and is part of our Digging and Planting series. Check it out on our website here or on Amazon here! Check out some of these interesting and unusual uses for beeswax here! Need something to do with all that honey? Check these weird uses for honey here. Want to learn more about the honeybee? Click here to read some amazing honey bee facts!